A high-ranking doctor from Linslade has been re-bailed over voyeurism allegations. 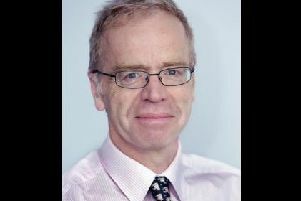 Dr Jonathan Fielden, 53, formerly of Stoke Road, was deputy director of NHS England and head of specialised commissioning until his resignation earlier this year. In February, he was arrested on suspicion of voyeurism and bailed until July 24. This week, Bedfordshire Police confirmed he had been re-bailed until September 28.